Ballet dancer choreographer and teacher. Christian Johansson was and Second Balletmaster for the Russian Imperial Ballet . Born Pehr Christian Johansson in Stockholm , Sweden on June 1, 1817. 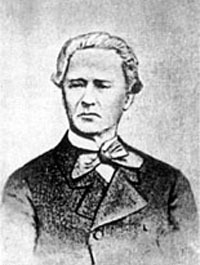 Like many others, Johannsson came to Russia as a dancer and stayed on as one of the most important teachers in Russian history. He began teaching in 1860. In 1869 he became the head teacher at the Imperial School and stayed until his death. Johansson studied under August Bournonville and partnered the great ballerina Marie Taglioni .